The story of Excalibur, the greatest sword in history, is revealed to MUMM-RA. 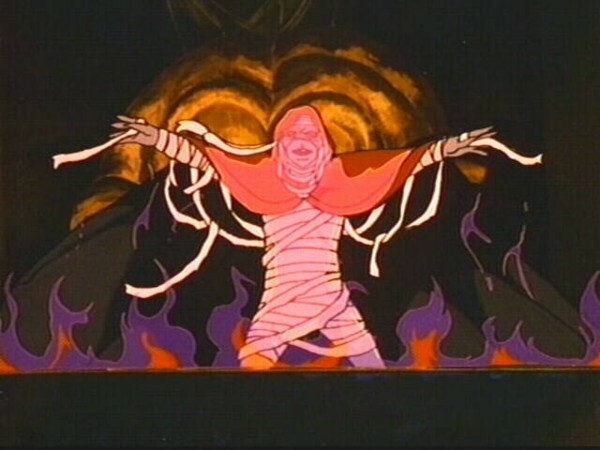 MUMM-RA determines to obtain Excalibur and to defeat LION-0 and the Sword of Omens. MUMM-RA transforms himself into King Arthur and summons the Lady of the Lake. MUMM-RA goes to the Cats’ Lair and at first succeeds in persuading the THUNDERCATS that he is a most powerful and honorable knight. 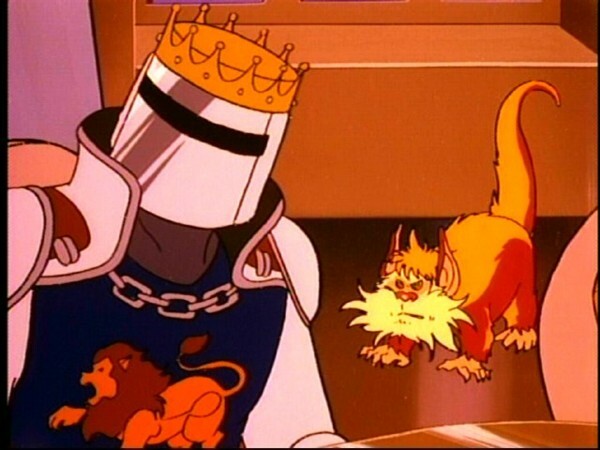 The THUNDERCATS become suspicious of MUMM-RA/King Arthur because of his un-knightly behavior and arrogance. MUMM-RA/King Arthur taunts LION-0 and maneuvers him into a joust. Excalibur and the Sword of Omens rip themselves free of their combatants and fight independently. But, having defeated the Sword of Omens, Excalibur refuses to obey the evil MUMM-RA/King Arthur. Merlin appears and entrusts Excalibur to LION-0, who returns it to the Lady of the Lake. Lion-O and the ThunderCats learn that the Code of Thundera that they live by is shared by others and is part of a universal moral code. They are introduced to Merlin, caretaker of Excalibur, and to the legend of King Arthur and his code of justice, truth, honor, and loyalty. And they learn, after witnessing the futile attempt of Mumm-Ra to subvert the code for evil purposes, that true morality in its highest form is an end in itself and rests on universal moral principles. Any attempt to subvert it or ignore it, as in the foolish duel of Mumm-Ra and Lion-O, is doomed to failure. One theory of moral development holds that moral judgment proceeds through levels from the avoidance of punishment, to social conformity, to an autonomous and internalized set of values (Kohlberg, 1963). An important distinction to make in considering moral behavior is between general moral principles and social conventions. Children, as early as between the ages of 4 and 6, have the ability to distinguish moral issues, based on principles like justice, fairness, and the welfare of others, from social conventions, arbitrary rules of conduct sanctioned by custom and tradition, like types of clothing or using first names or titles in addressing people (Turiel, 1983). Helping children make such distinctions is an important part of fostering their moral development. KOHLBERG, L. The Development of Children’s Orientation Toward a Moral Order: 1. Sequence in the Development of Moral Thought. Vita Humana, 1963, 6, 11-33. TURIEL, E. The Development of Social and Moral Knowledge. Cambridge: Cambridge University Press, 1983. PFrom the very outset of the ThunderCats series, Lion-O’s iconic weapon, the Sword of Omens, was made a central feature – the source of the ThunderCats’ power and their mightiest weapon in defense of themselves and their friends, the Sword at times seems almost invincible, and so it was natural that one theme the writers of the series would wish to explore would be finding a force or weapon that could match the Sword in battle. One such attempt was with the episode “The Thunder-Cutter”, named after Hachiman’s sword of the same name – this episode is another in the same vein and, it has to be said, one of the more successful exploits into this territory. 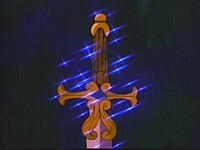 The concept of pitting the Sword of Omens against not another sword from within the ThunderCats canon but instead a sword from ancient legend is an inspired one – for, not only is Excalibur regarded throughout fiction as one of the mightiest swords ever to exist, but, because of that, its very name conjures up a formidable image of a sword that few could hope to better, perhaps not even Lion-O’s mighty sword. Another thing that is notable about the use of Excalibur in this episode is the fact that it creates one of the series’ strongest-ever links between Third Earth and First Earth, a.k.a. “our ” Earth – whilst the legend of King Arthur is predominantly fictional, nonetheless it is fiction that pertains directly to “our” Earth and as such is yet another indication that Third Earth and this planet are one and the same, merely at different stages of the planet’s evolution. This episode is noteworthy for showcasing how central the Sword of Omens is to all of the series’ main characters. 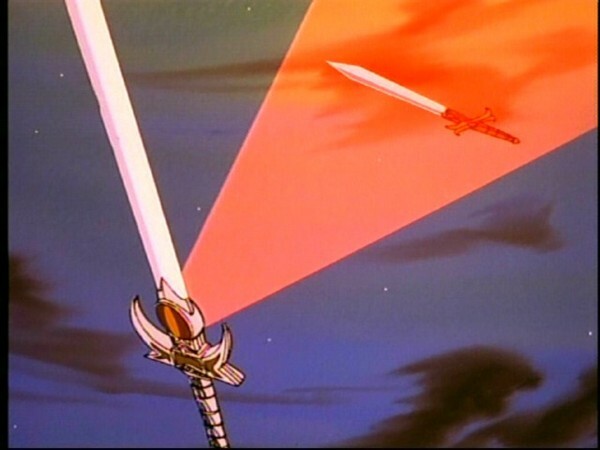 The most obvious example of this is that it is the source of the ThunderCats’ powers, as is demonstrated when the Eye of Thundera is (briefly) destroyed, stabbed by Excalibur, and the ThunderCats are robbed of their strength and powers – however, this episode also displays how much of an effect the presence of the Sword has had on Mumm-Ra himself. 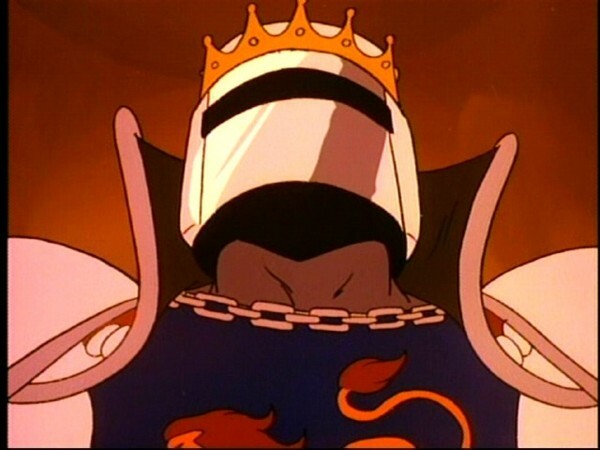 In the early stages of the ThunderCats series, Mumm-Ra is shown to covert the power of the Eye of Thundera, and his primary goal is to possess the Eye’s power for himself. After discovering in “The Garden of Delights” that he lacks the ability to warp the Eye’s power to his own evil ends he gradually seems to fixate more on destroying it (and the ThunderCats) rather than possessing it. In this way, the concept of both the ThunderCats’ and the Eye’s presence on Third Earth seems to become more of an irrational obsession for Mumm-Ra, with seemingly his every deed being performed in the hope of destroying his enemies. 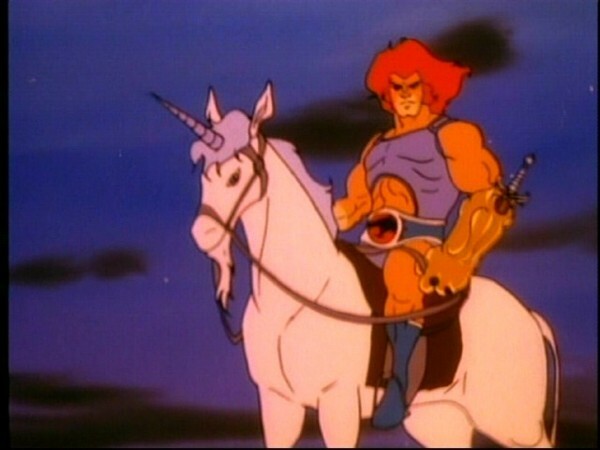 This fact would be bourn out in the show’s second season when the ThunderCats leave Third Earth for New Thundera – rather than returning to his home planet of Third Earth to try and conquer it in the ThunderCats’ absence, Mumm-Ra instead journeys to New Thundera and attempts to conquer that instead, thus indicating an obsession with defeating the feline heroes above all else. The very germ of that concept is actually evident with Mumm-Ra’s rant at the start of this episode, which lacks form but instead comes over as the lunatic ravings of a madman hell-bent on destruction and revenge. This episode is also a notable one for Lion-O, whose character is cleverly exploited here by writer Peter Lawrence. 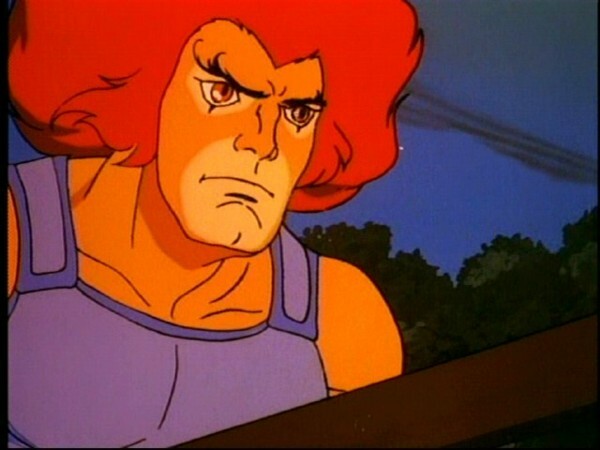 In the series’ earliest offerings Lion-O is shown to be a very flawed character, displaying both immaturity and a sense of lion-like pride which not only lands him in many difficult situations but also is counter-productive to his effectiveness both as a warrior in general and as a leader in particular. Whilst Lion-O’s actions in this episode don’t hark back to quite that early a stage, nonetheless Mumm-Ra, in his guise of King Arthur, knows exactly the right ThunderCat to goad with his insults, taunts, and generally discourteous manner. 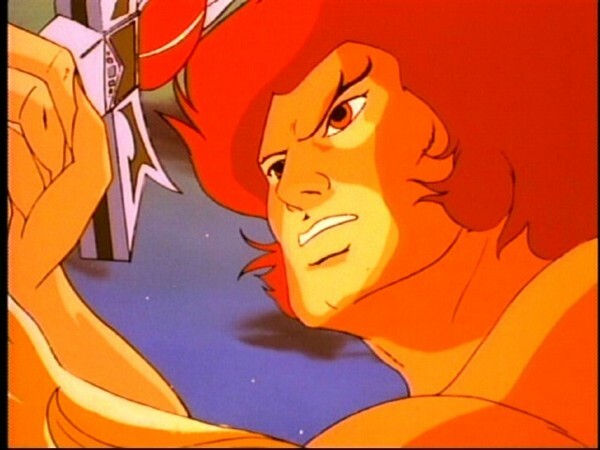 That Lion-O should react in the manner that he does ironically brings to mind another aforementioned sword-based episode, “The Thunder-Cutter”, in which Hachiman’s somewhat overbearing behavior brings out the indignant, youthful pride of the young Lord of the ThunderCats. 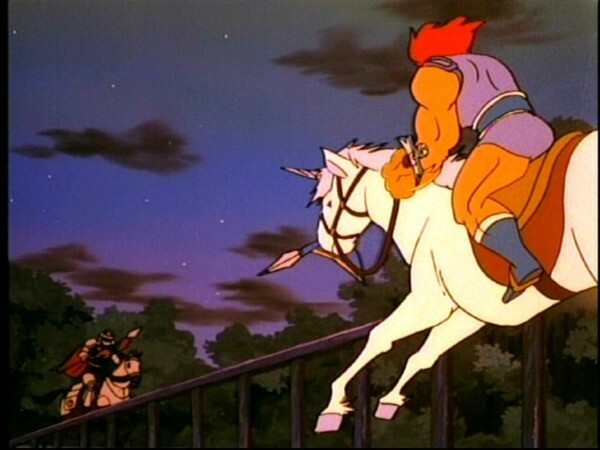 The one thing that is interesting about the events of this episode is that, whereas in other, similar situations one would expect the other ThunderCats to try and temper their young leader’s prideful actions with rationalisation and wisdom, instead Tygra and Panthro seem to be almost in favour of it, insisting that Lion-O has no choice and refusing to intervene in his duel with King Arthur (Mumm-Ra) on the grounds of it being a matter of honour. 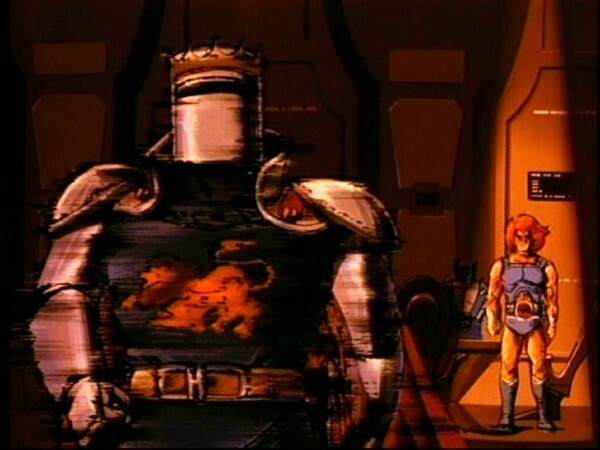 Only Cheetara sees the futility of Lion-O’s conflict with the insane knight, perhaps sensing that all is not what it seems, but nonetheless it’s surprising that the other two elder ThunderCats would take the stance they do, perhaps indicating that King Arthur’s (Mumm-Ra’s) taunts got to them as well. 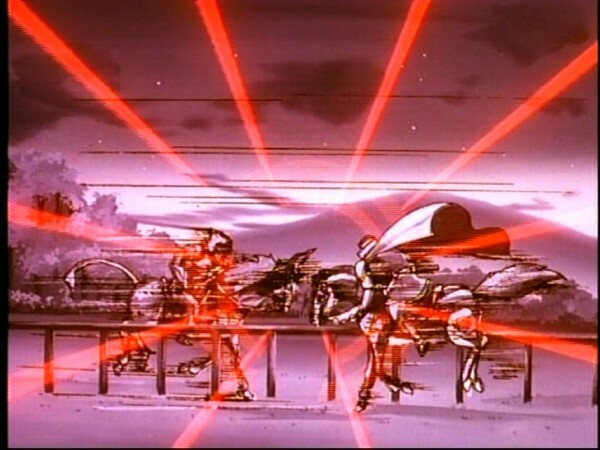 This episode is, at times, beautifully animated, and also features some incredible, almost cinematic, direction, with visual dramatic emphasis being created by the use of blurred imagery in one shot, and a couple of shots (including at the end of act 1) when motion is frozen and the screen converts almost to the effect of a matte painting. Whilst these are relatively small touches, they nonetheless really help to establish this episode as one filled with suspense and drama – and, it does have to be said that there are very few ThunderCats episodes with as dark and foreboding a feel as this one has, a sense that is emphasised by the fact that, at the episode’s conclusion, the ThunderCats enjoy a lucky escape rather than a victory, with Merlin’s timely intervention the only thing that saves them from certain destruction. 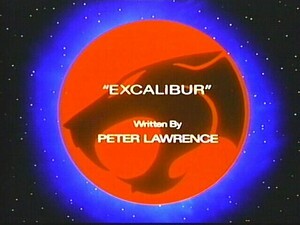 Perhaps because of this foreboding sense, perhaps because of the plot, or perhaps because of the guest characters that link Third Earth so strongly to “our” Earth – whatever the reason, “Excalibur” is a very powerful and memorable episode and one of the standout episodes of ThunderCats‘ season 1. The flashback at the start of this episode shown clips from the episodes “Queen of 8 Legs”, “Return to Thundera” and “The Astral Prison”. 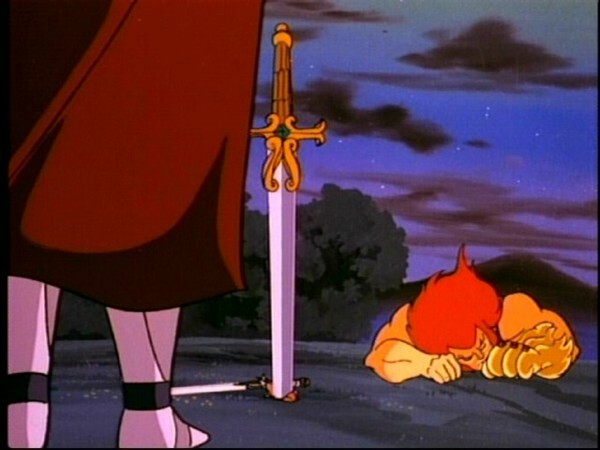 In this episode, when Excalibur stabs the Eye of Thundera, the ThunderCats lose their strength and life force, thus reiterating the oft-stated fact that the Eye is the source of their power. 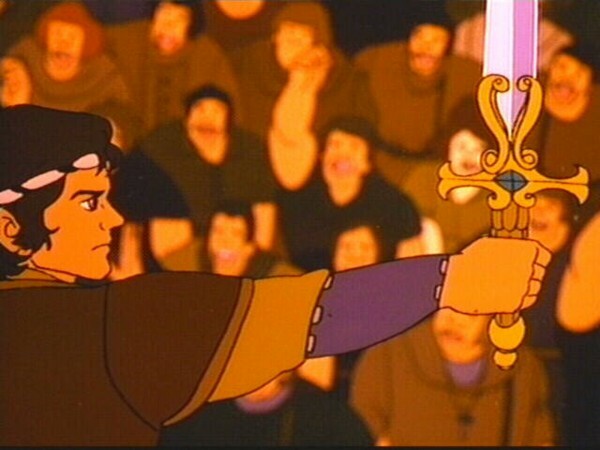 The legends of King Arthur and his sword Excalibur are two of the most powerful and well-known fables of all time, and this episode features many of the most popular hallmarks of the many different interpretations of Arthur’s story, from relatively well-known elements such as Merlin the Magician and the Lady of the Lake, through to Sir Bedivere, the Knight of the Round Table who returns Excalibur to the Lady of the Lake.